Mandy - DVD Review - ReDVDit! Mandy is a 2018 action horror film that was directed by Panos Cosmatos and co-written by Cosmatos and Aaron Stewart-Ahn. A co-production of the United States and Canada, the film stars Nicolas Cage, Andrew Riseborough, Linus Roache, Ned Denneh, Olwen Fouere, Richard Brake, and Bill Duke. It premiered at the 2018 Sundance Film Festival on January 19, 2018, and was theatrically released on September 14, 2018 by RLJE Films. 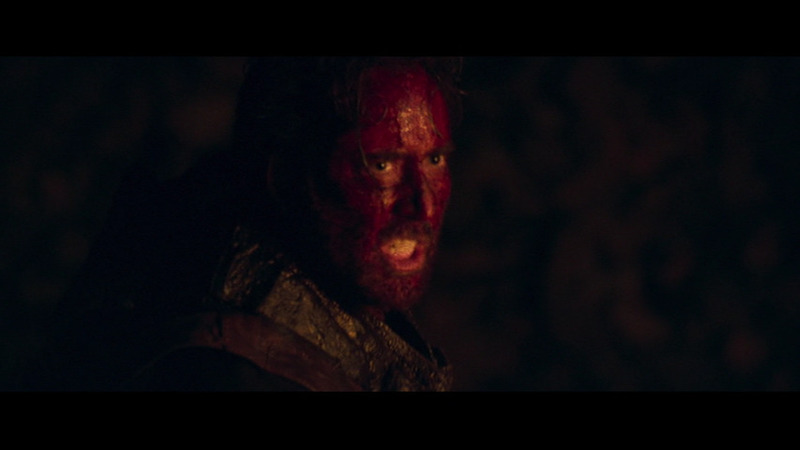 Mandy received critical acclaim, with praise directed at its style, its originality, Cage’s performance and the action sequences. Taking place somewhere near the Shadow Mountains in 1983, the film follows Red Miller as he is living his girlfriend in a cabin near the lake. He works as a logger, while Mandy has a day job as a cashier at a nearby gas station in the woods. She is also an artist that creates elaborate fantasy art, and Red admires her work greatly. 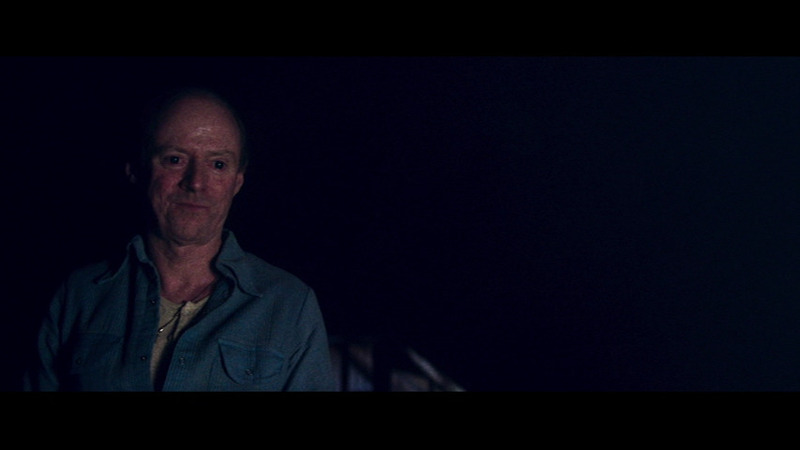 Together, they lead an extremely quiet and reclusive life, and their conversations and behavior hint at a difficult past and psychological hardship as Red appears to be a recovering alcoholic and Mandy recounts some traumatic childhood experiences. Mandy is a movie that isn’t going to be for everybody. Featuring some pretty deep and very well composed shots, Nicolas Cage plays an absolutely insane character, which is pretty fitting for his acting capabilities as of late. An absolutely intense revenge thriller, this movie is bloody as hell, and really wouldn’t have done as well as it did if it didn’t have Cage as the titular character. The story was interesting enough that it kept itself from beginning to end, and is ultimately one of the better grind house films that I’ve personally seen in recent times. 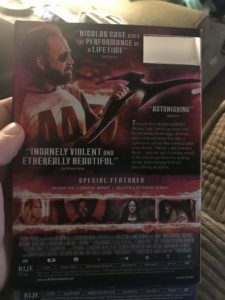 While we received a DVD copy of Mandy, it will be available on Blu-ray, and this review is going to be covering the presentation of that DVD. Overall, everything looked really clean for a standard DVD release. The general scenery seemed to be clean enough to make sure that everything could be seen and understood without any hesitation; however, there really weren’t any parts that stood out more than any others. I’m sure there are more elements that could have been had with the Blu-ray copy; but overall, I can’t really complain as I was able to understand and experience the story that was set out to be told. 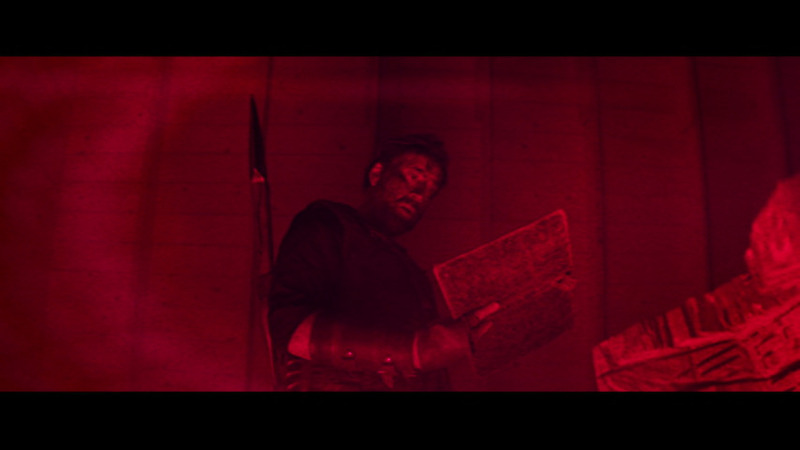 Packaged with a lossy Dolby Digital 5.1 mix, the DVD release of Mandy maximizes the capabilities of the format, and really tries to give its viewers a clean experience. Ultimately, I rated this as just above average because of the antiquated technology behind the track; but to the untrained ear, the mix was very well executed. The dialogue is spoken cleanly, ensuring that everyone could be heard; and the audio track will require some preliminary adjustments in the audio to compensate for the lack of power behind the track. 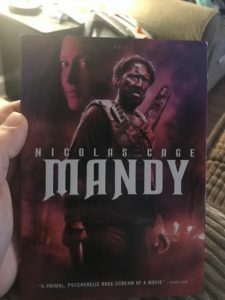 The DVD release of Mandy comes packaged in your standard single-disc DVD casing. Within that case is the standard DVD copy of the movie, the disc featuring a similar piece of artwork as the one that’s been included on the case. There are no digital copy redemption pamphlets included with this release; but, there is a slipcover that’s been made available during the original pressing of the release that features the same artwork that’s been included on the case. Overall, I was really surprised with Mandy. Especially since I haven’t really been into the latter works of Cage, this was a pleasant experience that I didn’t really see coming. The video and audio presentation of the DVD release were right on par with what you would expect out of a standard DVD release. The special features were a really nice accompaniment to the feature film. If you’re considering this movie for your collection, I would absolutely recommend picking it up. Mandy will be available on Blu-ray and DVD beginning on Tuesday, October 30.